He has my sympathy - reversing trailers borders on the black art. I've sunk a car myself, so I empathize too. 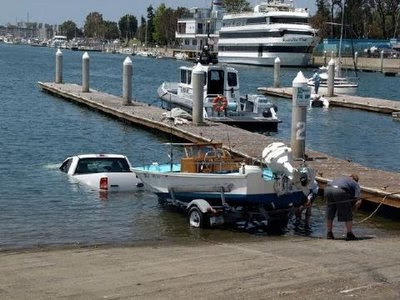 I swear my car was behind my boat though!